Besides the 80 cards normally included, 10 Japan Pre-Release Versions of World Premiere Cards are included. 70 Card Sleeves based on the cover monster \"Number 62: Galaxy-Eyes Prime Photon Dragon\". It includes cards used by Yuma Tsukumo, Kite Tenjo and the Seven Barian Emperors. The TCG version also includes cards used by Jack Atlas, Eviluder, Akiza Izinski, Hishakaku, Quattro, Shadow and Sect Ijuin. Japan still receives Ultimate Rare cards in the Japanese packs, but other Asian countries now receive Secret Rares in their Japanese packs instead. This set introduces the \"Artifact\" archetype. It also contains more members and support for the \"Ancient Gear\", \"Attribute Knight\", \"Battlin' Boxer\", \"Bujin\", \"Dark World\", \"Duston\", \"Evol\", \"Galaxy\", \"Ghostrick\", \"Gladiator Beast\", \"Gusto\", \"Hazy Flame\", \"Koa'ki Meiru\", \"Madolche\", \"Mecha Phantom Beast\", \"Monarch\", \"Number\", \"Number C\", \"Penguin\", \"Photon\", \"Rank-Up-Magic\", \"Scrap\", \"Shark\", \"Sylvan\", \"Traptrix\" and \"Umbral Horror\" archetypes and series. The Japanese version includes further support and members of the \"Dododo\", \"Gagaga\", \"Gogogo\" and \"Galaxy-Eyes Tachyon Dragon\" archetypes. The Korean version includes further members of the \"Watt\" archetype. 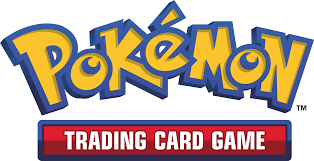 The TCG version includes further support and members of the \"Gimmick Puppet\", \"Hell\", \"Line Monster\", \"Noble Knight\", \"Vampire\" and \"ZW -\" archetypes.